Of the many features of the BOSCH 4410 10-Inch Dual Bevel Sliding Miter saw, one of the most impressive is that of the convertible four-position handle. The convertible handle allows users to adjust the handle grip that is best suited to him or her. Users can opt, for example, to use a vertical grip versus that of a horizontal grip. The bevel, lock level and range selector knob Is located right at the front of the miter saw where it is most needed. This has proven to be a very convenient feature of the BOSCH 4410 miter saw. The bevels also have a complete range on each side, with forty-seven degrees (47°) left and forty-six degrees (46°) right. The scale for the bevels and the miters are easy to use as it is legible. The large twenty-one-inch (21”) aluminum with sliding extensions allow for areas of extended grip as well as additional support for materials that may be longer. One of the downfalls of most miter saws is that the fence is usually too low. 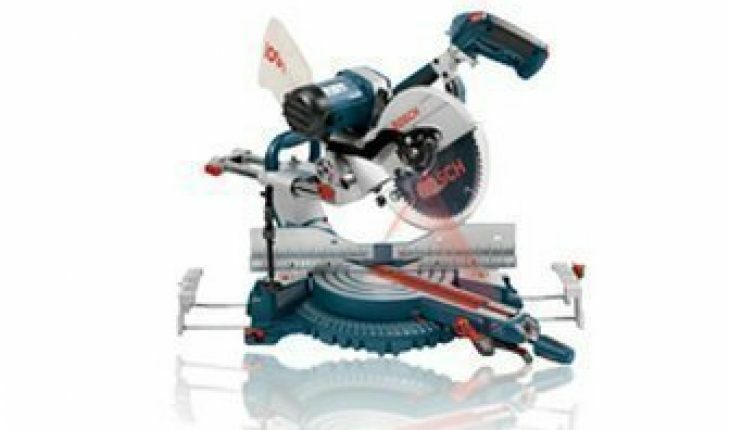 However, this is corrected in the design of the BOSCH 4410 Miter Saw as it is fitted with speed track sliding fences about four and a half inches (4½”) tall. This feature allows for a hitch-free bevel set up and crown molding cut. Finally, the BOSCH 4410 is powered by a 3hp max, 15-amp motor and this fuels the blade and allows for even greater ease in cutting. Almost a perfect hand tool, the only real downfalls with the BOSCH 4410 Miter saw are those of its weight (at seventy plus pounds – 70+lbs), and its cost to the average consumer. The average user may find this tool pricey. It is however worth its cost. As with any Miter saw, the proof is in the cutting and the BOSCH 4410 10-Inch Dual Bevel Sliding Miter saw has in this regard, proven to be a cut above the rest. A durable and user-friendly tool, the BOSCH 4410 10-Inch Dual Bevel Sliding Miter Saw provides consistent and precise miter angles over the life span of the tool. 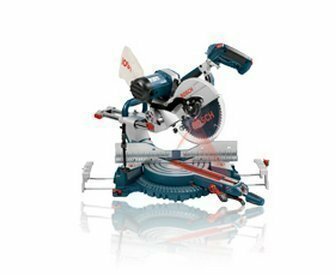 Many of the problems that are usually associated with miter saws are corrected in the design and creation of the BOSCH 4410 10-Inch Dual Bevel Sliding Miter saw and as such the tool is worth the investment.